Make way for T-ara's very own Barista, Park Jiyeon! 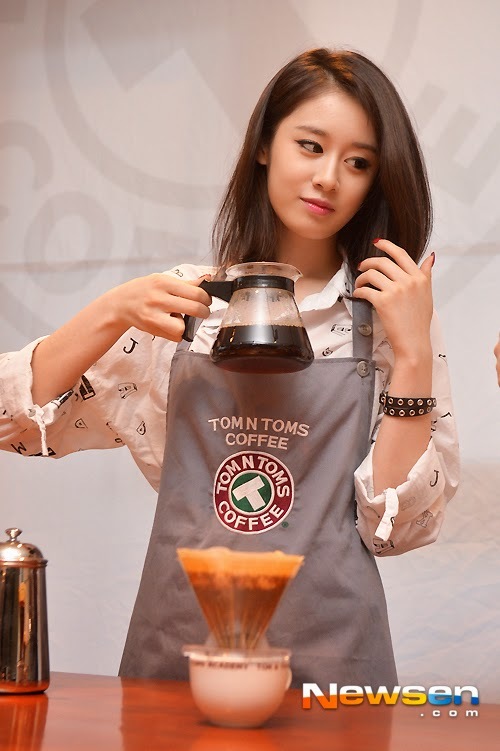 As announced yesterday, Jiyeon came out to be a barista at Tom N Toms Cafe and meet her lucky fans. 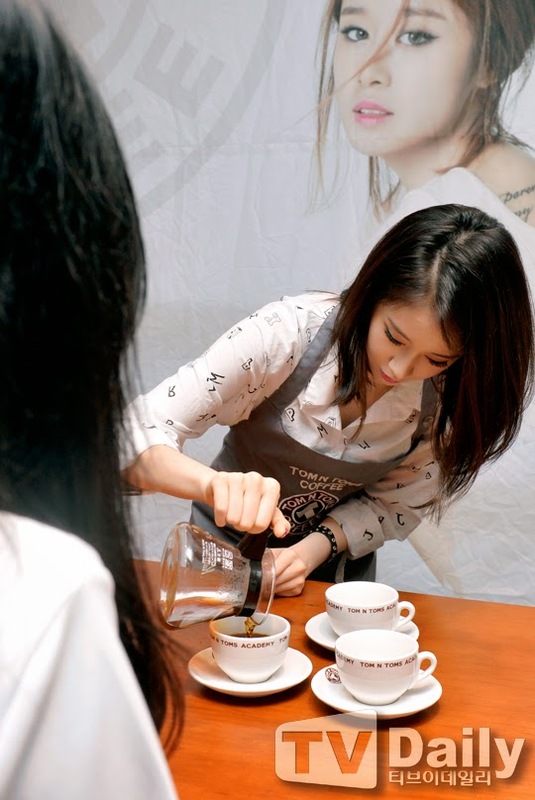 There were 400 fans, and 40 of there were lucky to receive hand-dripped coffee which was brewed by Jiyeon herself. Check out Jiyeon's lovely photos from this event below.